Plummer-Vinson is a syndrome of DYSPHAGIA with IRON-DEFICIENCY ANEMIA that is due to anomalies in the ESOPHAGUS (such as cervical esophageal webs). 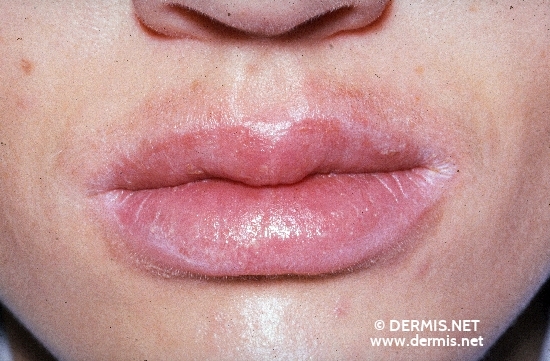 It is known as Patterson-Kelly syndrome in the United Kingdom. Reliable prevalence data on Plummer-Vinson syndrome are lacking. In the first half of the 20th century, it was a relatively common finding, particularly among middle-aged Scandinavian women. The rapid fall in prevalence of the syndrome in the latter part of the 20th century has paralleled an improvement in nutritional status, including widespread addition of iron to flour. The syndrome is now a rarity. Webs may be found in 5-15% of selected patients presenting with dysphagia, but most of these patients do not have PVS. Plummer-Vinson syndrome has mainly been described in whites. Plummer-Vinson syndrome is more frequently observed in women. In earlier studies from Scandinavia, up to 90% of patients were women. The typical age range at diagnosis is 40-70 years. A handful of cases have been reported in children. Plummer-Vinson syndrome is rarely seen as a full-fledged syndrome. Forme fruste occurrences are frequent. Virtually every manifestation of the syndrome is also seen as an isolated problem. The postcricoid web, once considered pathognomonic of the syndrome, was shown epidemiologically to occur in only 15% of females with dysphagia. sometimes associated with weight loss. Atrophy of the gastric mucosa causes achlorhydria. atrophy of lingual papillae produces a smooth, shiny red tongue dorsum. There is a 10% incidence of splenomegaly associated with sideropenic anemia. The enlargement is minimal and pathogenesis is said to be unknown. and filters abnormal microcytic RBCs from the bloodstream. Like the anemia, it clears when massive doses of iron are administered. The diagnosis is based on the evidence of iron-deficiency anemia and one or more esophageal webs in a patient with postcricoid dysphagia. 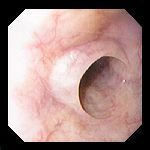 The esophageal webs appear smooth, thin, and gray with eccentric or central lumen. They are characterized by one or more thin horizontal membranes consisting of squamous epithelium and submucosa. Sometimes, chronic inflammatory cells may be observed in the submucosa. The webs typically occur in the proximal part of the esophagus. They usually protrude from the anterior wall, extending laterally but not to the posterior wall, which means that they rarely encircle the lumen. Laboratory examinations typically reveal iron deficiency anemia (hypochromic microcytic) with decreased values of hemoglobin, hematocrit, mean corpuscular volume, serum iron and ferritin, and increased total iron binding capacity. This is the prevalent theory. pernicious anemia, celiac disease, and thyroiditis. Maybe vitamin B complex deficiency is involved as well. Iron has a key-role in the respiratory chain, as the basic structure of cytochromes is the eme group. The respiratory chain takes place on the mitochondrial membrane, involving 4 complexes. Complex I (NADH dehydrogenase) removes two electrons from NADH and transfers them to a lipid-soluble carrier, ubiquinone (coenzyme Q). At the same time, Complex I moves protons (H+) across the membrane, producing a proton gradient. Complex II (succinate dehydrogenase) is not a proton pump. It removes electrons from succinate and transfers them (via FAD) to coenzyme Q. Complex III (cytochrome bc1 complex) removes two electrons from coenzyme Q and sequentially transfers them to two molecules of cytochrome c. At the same time, it moves protons across the membrane, producing a proton gradient. Complex IV (cytochrome c oxidase) removes four electrons from four molecules of cytochrome c and transfers them to molecular oxygen (O2), producing two molecules of water (H2O). At the same time, it moves four protons across the membrane, producing a proton gradient. As a result of all these steps, there is a proton-gradient across the mitochondrial membrane. This gradient is used to move a specific H+-ATPase, a membrane pump that pumps protons out of mithocondrium and meanwhile builds up ATP molecules. In absence of iron, no eme groups can be synthetized; this means there are no cytocromes and the respiratory chain cannot work. The result is ATP depletion. ATP is absolutely needful for cell survival. calcium concentration must be kept quite low in cytosol. In fact cells contain many phosphate ions, which would combine with calcium building up unsoluble complexes. To avoid this, cells actively pump calcium out through a calcium-ATPase (this means with consumption of energy). In case of ATP deficiency, calcium accumulates in cytosol and brings to cell death. 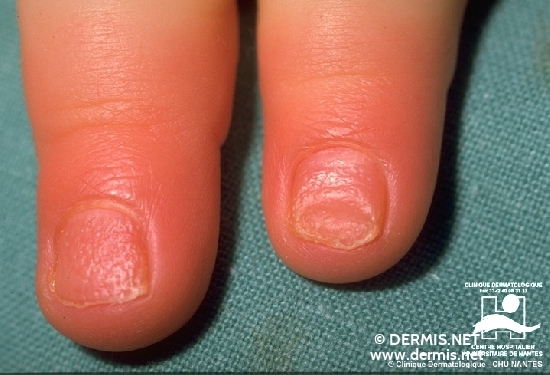 iron deficiency brings to eme deficiency; as a result, there is hemoglobyn deficiency. 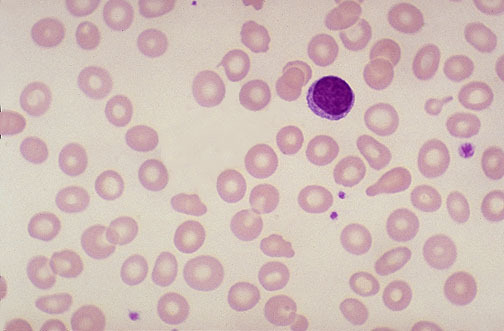 Red blood cells contain a small amount of hemoglobyn and appear mycrocitic and hypocromic. Calcium-ATPase is tipically present on sarcoplasmatic reticulum of muscle cells. ATP is used to pump calcium in the sarcoplasmatic reticulum; then it is used for muscle contraction. In case of ATP deficiency secondary to iron deficiency, muscle activity in esophagus is compromized. Formation of webs might be an epithelial complication. Gastric secretion is stimulated by 3 different agonists: acetylcholine, gastrin and histamine. They all lead to activation of H/K-ATPase on apical membrane: H+ is actively pumped out of gastric cells, while Cl- follows passively to create HCl. In case of ATP deficiency, there is also a reduction in HCl secretion. age of 40 than in fertile women. So there might be also a different role of female hormones. high cell turnover, which is speculated to cause mucosa degeneration and web formation. The Plummer-Vinson syndrome is one of the risk factors for developing squamous cell carcinoma of upper esophagus. Ho apportato le correzioni da Lei richieste. non sono riuscita a trovare dettagli più precisi sulla correlazione tra la sideropenia e le modificazioni strutturali della mucosa esofagea. Inoltre non capisco perchè non riesco a mettere il lavoro sotto "diseases". Aspetto una Sua prima valutazione.